The fast fashion industry has something of a bad reputation. Its endless churning to keep up with the demand for 80 billion new garments every year relies upon two controversial things: cheap labour and disposability. Unlike their ‘slow fashion’ predecessors, clothing produced by today’s high street brands is not envisaged to last for years, but solely until the next trend comes around. For that reason, many items are mass produced for as low a cost as possible, and thrown out like stale bread once they’re no longer en vogue. In recent years, however, we’ve become increasingly aware of the impact that fast fashion is having on the world around us. Consumers are beginning to expect more from their clothes and the brands that produce them. In turn, brands must step up their ethical credentials to keep hold of their valued customer base. With this in mind, many are implementing corporate social responsibility (CSR) policies to transform their business processes, and they are witnessing a bonus uplift in consumer loyalty as a result. The fast fashion industry relies heavily upon low manufacturing costs and volume of sales to stay afloat, which it achieves through hiring cheap labour to produce trend-led garments made of inexpensive materials that are designed to last a season or two at most. This necessitates maintaining a large global manufacturing network of low-paid workers. More than three quarters of the world’s clothing exports come from developing countries and are produced by 26.5 million employees worldwide, over 70 percent of whom are women. Employees are often forced to work long hours for meagre pay, while enduring deplorable conditions. This is a particular issue for brands that outsource their manufacturing to factories in the developing world, where they have no say in working conditions. In June 2018, the workers’ rights campaign group Global Labour Justice revealed that instances of physical and sexual violence, as well as verbal abuse, had been reported at 540 factories across India, Bangladesh, Cambodia, Indonesia and Sri Lanka, many of which supply the clothing brand Gap. Other European brands including Primark and Zara have been at the centre of their own labour scandals over the past few years, with claims of employees doing unpaid work in squalid conditions running rife. Keeping up with retail trends also requires a huge amount of natural resources, and creates substantial waste. The myriad materials used in creating designs each come with their own issues, whether that’s the use of toxic chemical dyes to create brightly coloured swimwear, or the manufacture of polyester clothing, which, when washed, sheds tiny plastic microfibres that end up in our oceans. Kirsten Brodde co-founded Greenpeace’s Detox My Fashion campaign in 2011 to tackle the use of hazardous chemicals in textile manufacturing. Traditional dyeing and finishing processes use 5.8 trillion litres of water annually, with between 10 and 20 percent of the dye remaining in the water after the process is complete, according to Brodde. This then creates a pollution hazard when wastewater is released into rivers and streams. But while the Detox campaign tackles ecological issues during the production process, there’s still much to be done to reduce the environmental damage caused by the disposal of unsold clothes. 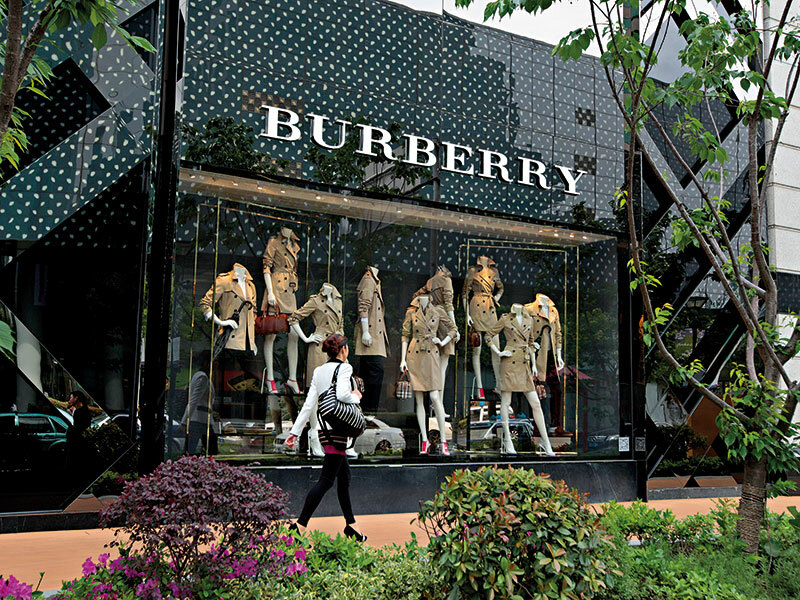 British brand Burberry sparked outrage in July 2018 when it was revealed to have burned over £28m (€32.2m) worth of clothes and perfumes, but this sort of material destruction is common within the fast fashion industry. Not only is this a monumental waste of the time and resources taken to manufacture products, it’s also extremely detrimental to the environment, as burning products containing any kind of plastic fibres is likely to release toxic chemicals into the atmosphere. Both labour violations and waste issues can be tackled, if not eliminated completely, through the introduction of a CSR programme, as demonstrated by a number of leading European brands. German retailer ARMEDANGELS, for instance, uses only organic Fairtrade cotton in its products, which consumes about 95 percent less groundwater and 100 percent fewer pesticides than its traditionally cultivated counterpart. It also pays a fair wage to all of its farmers, and never employs anyone under the age of 18. Meanwhile, Swedish retailer H&M, which was one of the original proponents of CSR policy in the fashion industry, collected 17,771 tons of textiles through its garment reuse and recycling initiative in 2017 – the equivalent of 89 million T-shirts. CSR is often seen as a greater consideration for larger brands, as most have already established a workable profit margin and, as such, are able to dedicate financial resources to making manufacturing processes more ethical. However, for brands with multinational supply chains, retroactively introducing sustainability policies can prove highly complex. Not only that, larger brands can be reticent to reveal data about their supply chains or profit margins lest they be accused of not dedicating adequate resources to CSR. H&M, for example, declined to tell European CEO the number of global employees working on its sustainability initiative, or its annual spend on CSR. In that sense, smaller start-up brands have the upper hand, as they’re able to build sustainability into all of their business processes and account for CSR spend in their profit margins from the onset. “Smaller brands [also] have more oversight on their supply chains and are more likely to have long-term, trusting relationships with their suppliers,” Brodde said. Austrian swimwear brand Arkitaip is a pertinent case: founders Lea and Michi Weiser opted to make their initial collection entirely in linen, as flax (its base material) is grown in Europe on marginal land of little agricultural value. This allowed the duo to minimise Arkitaip’s carbon footprint in terms of material and product transportation, while also ensuring that they were able to supervise the entire manufacturing process. By demonstrating their commitment to CSR, brands are able to capture the sustained interest of this new class of virtuously minded consumers. However, the continual appetite for fast fashion counteracts this growing demand for sustainable clothing. Dover noted that while 64 percent of women in the UK think it is worth spending more on quality clothing that lasts, 66 percent also believe it is important for retailers to update their collections frequently. As such, while the ‘buy now, wear now’ mindset persists, brands are likely to hit a wall when it comes to increasing their sustainability credentials. This shift would complement individual sustainability policies, while helping to tackle the sheer volume of waste that the fast fashion industry as a whole produces. It will take a concerted effort to pioneer a considered, ‘slow fashion’ mindset, but those that strive for higher standards will establish themselves as the go-to brands for ethical consumers – a badge to be worn with pride.